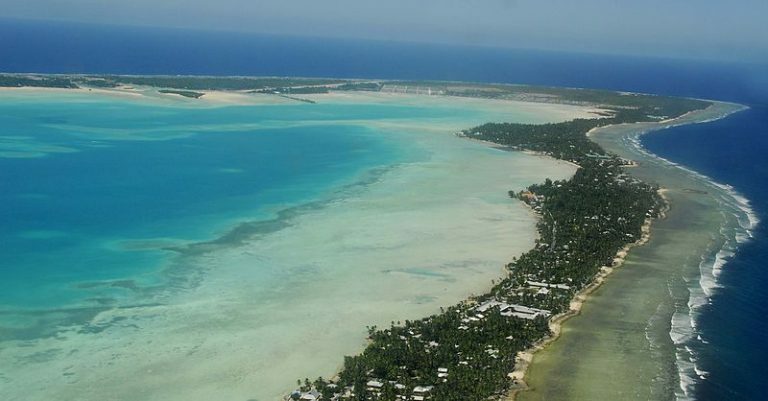 Climate change poses a substantial risk to many small island nations. These nations may be partially or completely submerged by rising sea levels in the coming decades, and are also vulnerable to other disruptions caused by increasing temperatures and changing precipitation patterns. We have worked with threatened island nations since 2009 to develop legal strategies to address these problems. The Sabin Center has assisted delegations from small island nations during international climate negotiations, in part through our work with the Legal Response Initiative. This event, co-hosted with the Republic of the Marshall Islands, was convened to discuss the key legal questions faced by small island states dealing with climate change. The website linked above provides logistical information, conference notes, video recordings of the proceedings, conference papers, press materials, and other materials that were not presented but are relevant to the conference. Rising seas are endangering the habitability and very existence of several small island nations, mostly in the Pacific and Indian oceans. This is the first book to focus on the myriad legal issues posed by this tragic situation: If a nation is under water, is it still a state? Does it still have a seat at the United Nations? What becomes of its exclusive economic zone, the basis for its fishing rights? What obligations do other nations have to take in the displaced populations, and what are these peoples’ rights and legal status once they arrive? Should there be a new international agreement on climate-displaced populations? Do these nations and their citizens have any legal recourse for compensation? Are there any courts that will hear their claims, and based on what theories? Leading legal scholars from around the world address these novel questions and propose answers. This paper draws lessons from past relocation efforts in order to develop a set of normative recommendations should the Marshall Islanders be forced to relocate. It refers to a number of case studies, looking at past relocation efforts as well as ongoing and planned implementations. Within each of these case studies, there is valuable insight into the relocation process both generally and specifically with regards to the Marshall Islands. This paper explores whether any international refugee convention or other standard of international law would protect individuals who are displaced by climate change by requiring that potential host states also provide them with social services. This paper evaluates the technical and legal feasibility of using assisted migration to preserve biodiversity resources from islands and other areas threatened by climate change.